Cartographer is a modular, lightweight, and efficient framework for manipulation of the world map. 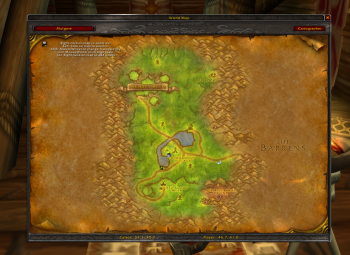 Battlegrounds : allows viewing of battlegrounds outside of the zone. 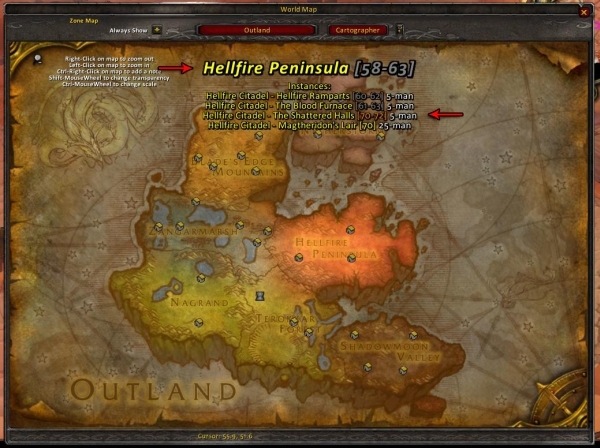 Coordinates : adds coordinates to the bottom of the world map of the player and the cursor. Foglight : Shows unexplored areas on the map. replacement for MozzFullWorldMap or Unexplorer. Much more efficient, though. 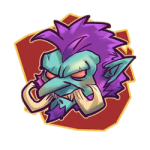 Group Colors : turns all your party’s and your raid’s POIs into circles colored based on class, and shows a number on them based on their raid group. 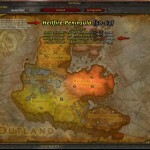 Guild Positions : show all guild members that also have Cartographer. 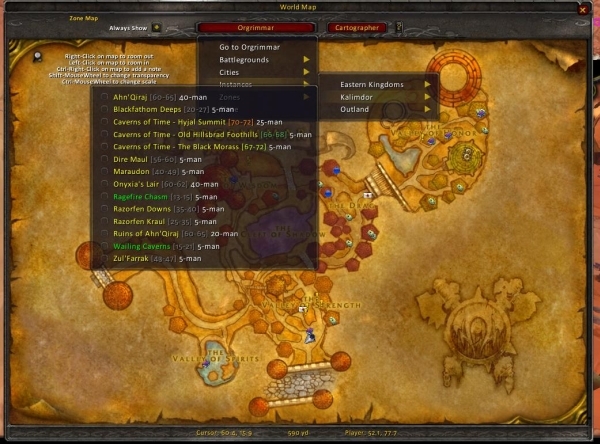 Instance Maps : shows maps of instances. 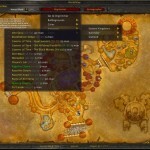 Instance Notes : adds boss notes and such to instance maps. Look ‘n’ Feel : allows you to change the transparency, position, and scale of the world map. Notes : lets you put notes on the map, similar to MapNotes. POI : store notes that city guards point you to. Professions : automatically tracks herbs, minerals, and treasure. 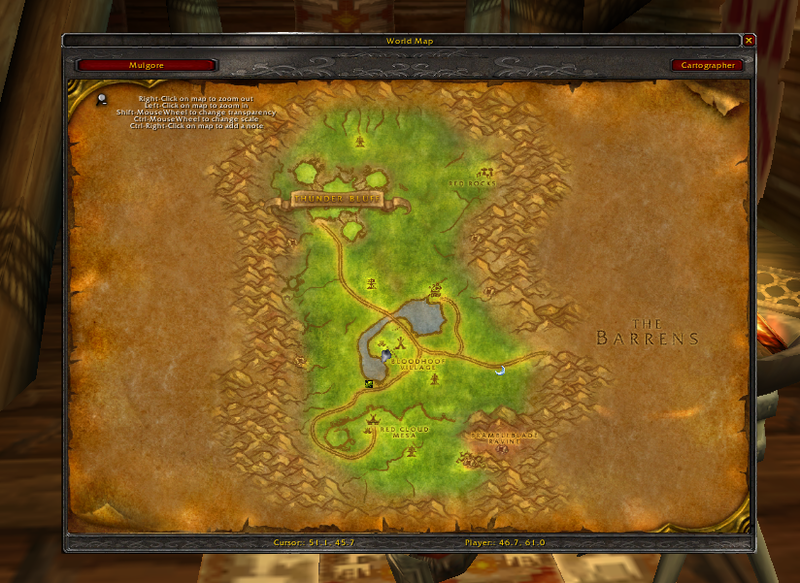 Waypoints : allow you to make waypoints and have a big arrow point the way. 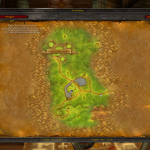 Zone Info : on hovering over a zone, it will show the levels of the zone, the instances in the zone, their levels, and the number of men the instance is made for (e.g. 5-man, 40-man).